Concentrated moisturizers make these bars so rich that you only need a little. Use after your bath on your entire body and place another one in a dish beside your sink to use after you wash your hands. Great for massage. A sensual, vanilla based body butter bar to make your skin feel smooth and beautiful. 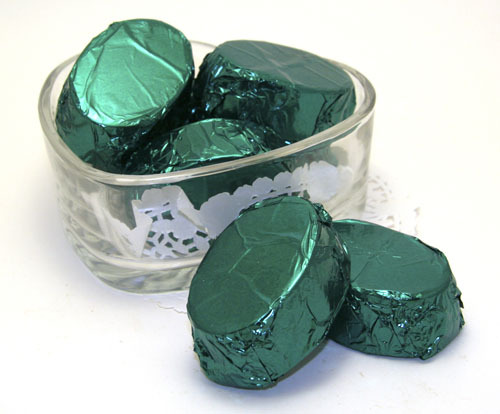 Contains unrefined beeswax, shea butter, jojoba oil, coconut oil and pure essential oils. 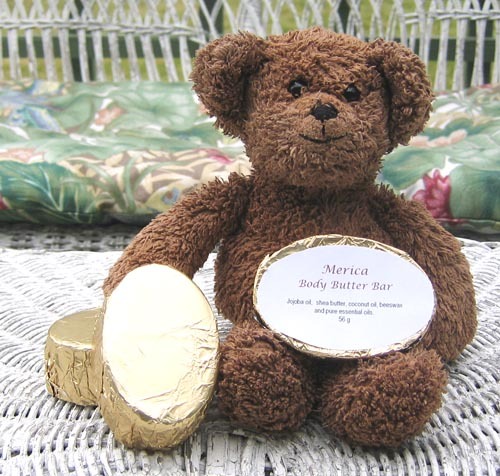 Rich decadent mango butter melts into your skin when you treat yourself with this butter bar. A fresh, chypre scent, reminiscent of the outdoors. Contains unrefined beeswax, mango butter, jojoba oil, coconut oil and pure essential oils. 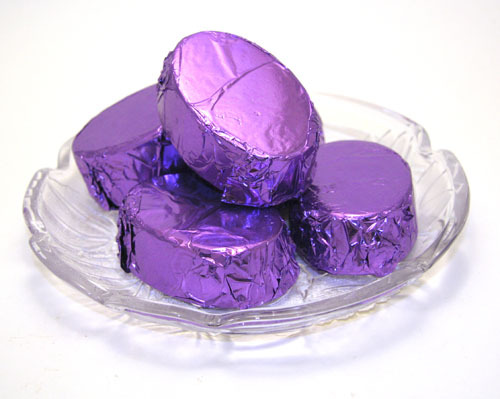 A luscious shea body butter bar with pure lavender essential oil added to relax you and soothe your skin. Contains unrefined beeswax, shea butter, jojoba oil, coconut oil and pure lavendula angustifolia (lavender) essential oil. 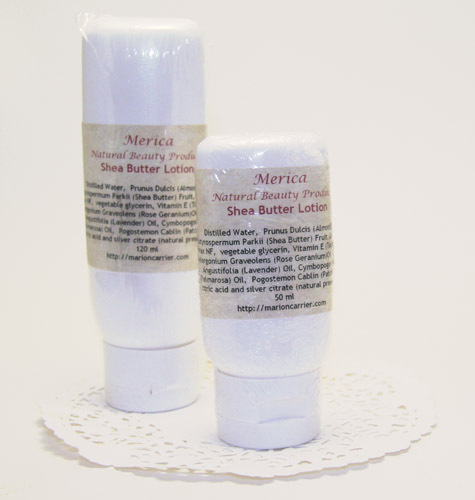 A delicious, light, moisturizing lotion containing shea butter, almond oil, vitamin E, Merica Essential Oil Blend, Lavender or Unscented and preserved naturally with silver citrate and citric acid.